New Zealand truly is one of the most picturesque and photogenic places on earth. The country is made up of some of the world’s most spectacular landscapes, from vast mountain ranges, steaming volcanoes to sweeping coastlines. New Zealand or Aotearoa in Maori means the land of the long white cloud, truly is one of the most picturesque and photogenic places on earth. A small island nation of just over 4.5 million people, New Zealand is made up of the North Island & the South Island) and a number of smaller islands. The two main islands are divided by a 22km stretch of water called the Cook Strait. The country is made up of some of the world’s most spectacular landscapes, from vast mountain ranges, steaming volcanoes to sweeping coastlines. It is a natural playground for thrill seekers and adventurers and those who simply want to visit for the culture and landscapes. 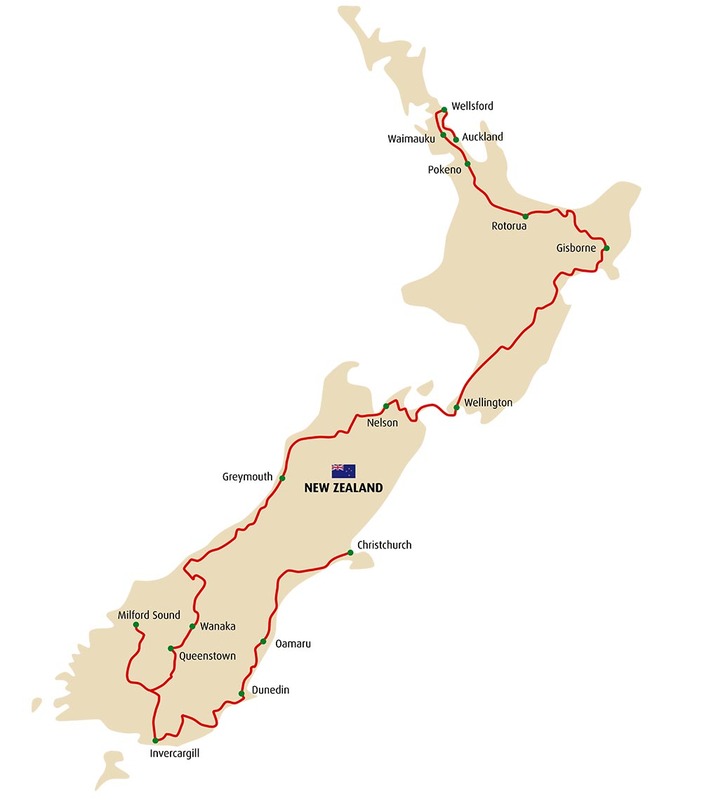 Our rally will take you to both island driving on some of the best scenic roads in the world. From high mountains to rolling hills, you will experience the Maori welcome and the friendliest people on earth. ROADS CONDITION Good roads – Amazing scenery guaranteed!